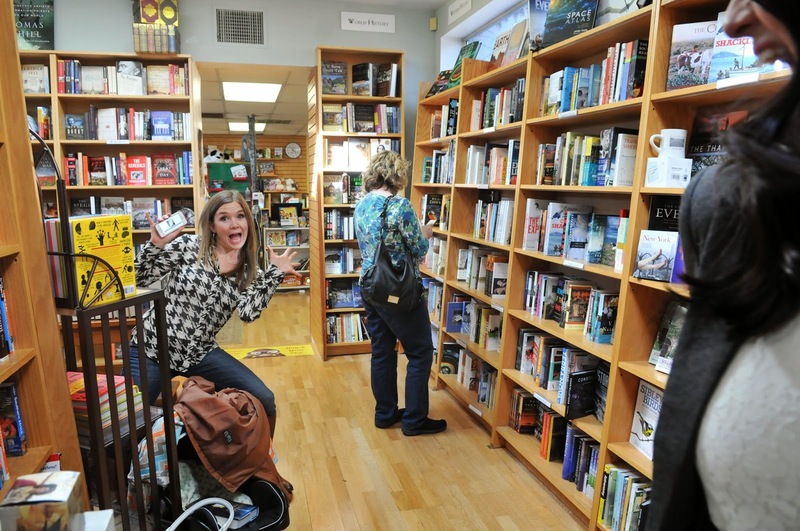 The YA Scavenger Hunt has come to an end--and it was the biggest and best hunt yet! Winners of the team contest will be posted on the official YASH site on Wednesday, October 8th. Meanwhile, the winner of my bonus giveaway of a $25 Amazon giftcard and a signed advanced copy of THE ETERNITY KEY is: Jessica Kent. Winner, please send me your shipping address within the next 30 days in order to claim your prize. Edit: Postponed! Due to overwhelming feedback from interested parties, we've determine that this fall is not going to work for most people. We've decided to postpone the class for now and revisit the idea in the spring or summer. Look for updates then. Are you a writer? 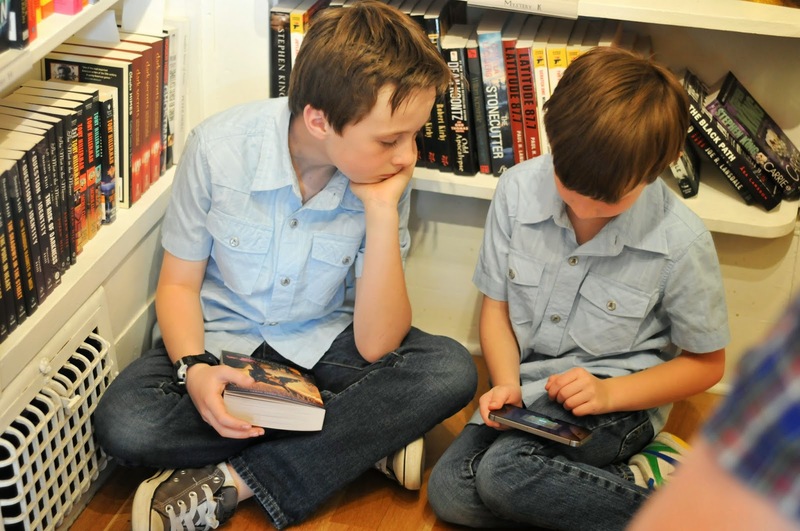 Do you want to be a published novelist? 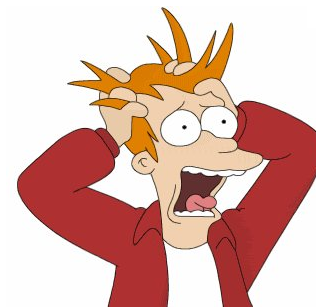 Do you feel like many conferences offer the same-old-same-old beginner information you've heard half a dozen times? Are you looking to take your writing to the next level? Are you tired of reading this thing that sounds like a cheesy infomercial? Then one last question . . . Do you live in (or near) Utah? If so, then I am pleased to tell you that I am offering an in-person, four session writing intensive for intermediate to advanced writers--taught by yours truly! I've learned quite a bit about writing in the last fourteen years and now I want to pass that information on to you. Go beyond the basics and jumpstart your writing to the next level. This course is designed for intermediate to advanced writers who want to dive deep into techniques for characterization, plotting, and connecting readers with your story. Level up with these fun and informative presentations and workshops. PLUS - get a personal critique of your first chapter from your current work in progress! Who is this course ideal for? All ages are welcome, but please be aware that this is intended for intermediate to advanced writers so a basic understanding of writing and story mechanics will be assumed. 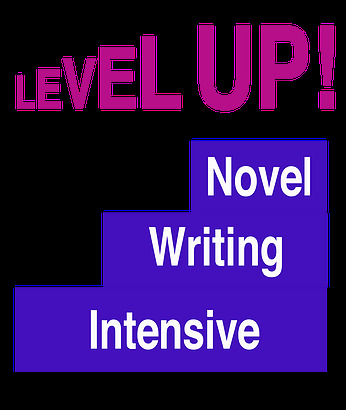 LEVEL UP is ideal for writers who have been writing for a few years and have finished at least one manuscript (or have one well underway) but have found that their writing isn't quite ready for publication yet. I hope to help you push your writing to that next level. Seats are limited so click HERE to register today! 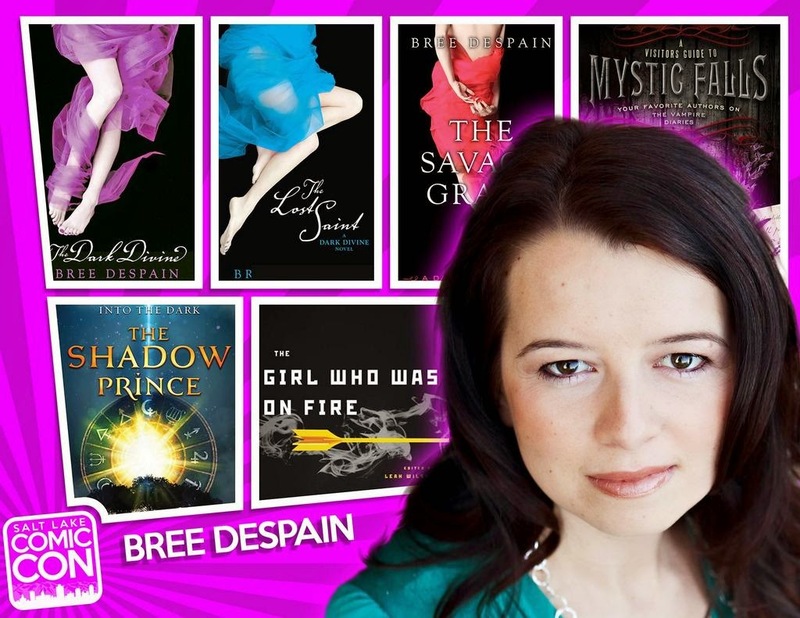 About the instructor: Bree Despain is the award winning author of both the Dark Divine trilogy and the Into the Dark trilogy. 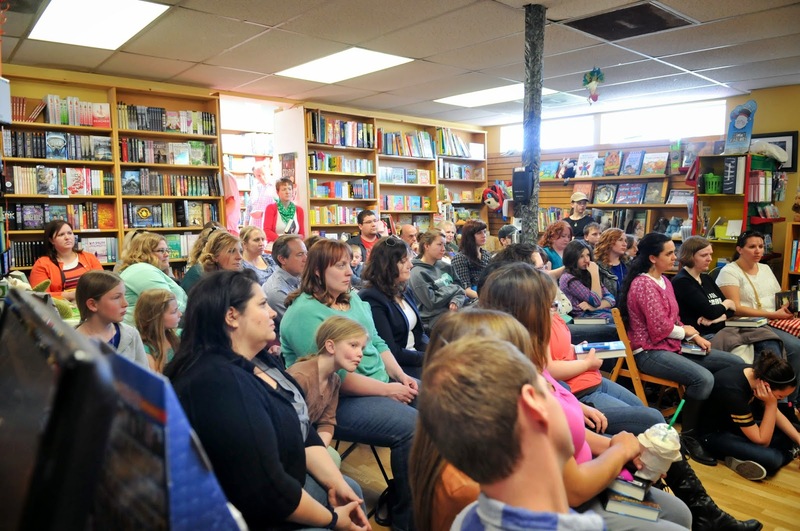 Her books have been traditionally published in over seventeen countries and have earned both critical and fan acclaim. 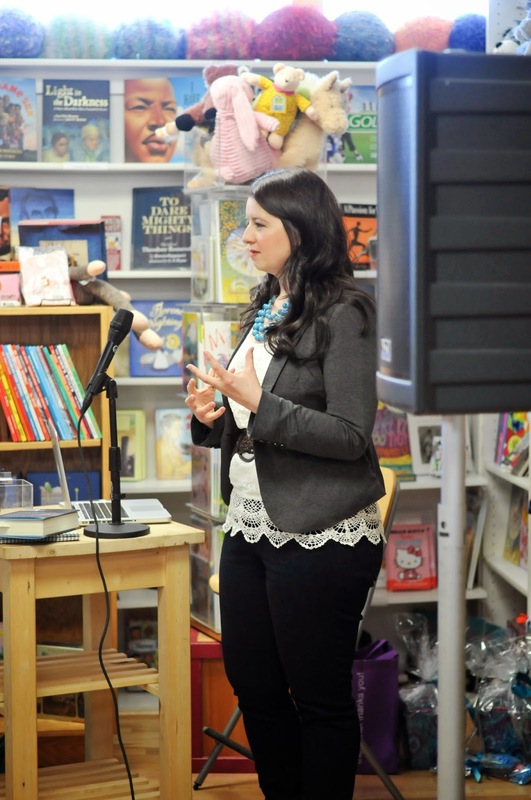 Bree has taught in workshops and on panels about writing in conferences all over the United States. She currently lives in Salt Lake City, Utah with her husband, two young sons, and her beloved TiVo. ***Only one tuition reimbursement scholarship will be awarded per course. You must refer a friend to enter and they must record you as their reference in the indicated spot when registering. Your friend must register and attend the course in order for your entry to be eligible. You may refer as many friends as you want but space is limited so don't delay. Yet Another Ice Bucket Challenge Video! I was called out to do the ALS Ice Bucket Challenge by the ladies of Writers Cubed (who put on the most excellent Teen Author Bootcamp). I accepted their challenge and here are the results. Luckily my kids couldn't lift the bucket all that high, but they sure did think it was funny. KidA: "Mom, can we do this every day???" I hereby nominate Natalie Whipple, Elana Johnson, and Colleen Houck to take the challenge next. You have 24 hours! Four things from me today! 1. I'm going to be a panelist at Salt Lake Comic Con! I am so super excited--and they even made me this cool profile pic. 2. My ARCs of THE ETERNITY KEY arrived! I was so thrilled to get this box of books. I swear it feels like I just barely typed "the end" on this story and now it's in my hands in book form. This is my fifth book and it still feels surreal! 3. Now that ARCs are going out into the world, I thought I'd share a secret with you. (Though I don't know how well I've kept it a secret so far). THE ETERNITY KEY features three point-of-view characters. This means there will be chapters from not only Haden Lord and Daphne Raines, but also some from one of my other favorite characters: Tobin Oshiro-Winters. I realized he had so much going on that he deserved to tell his side of the story. It was so much fun getting to delve into Tobin's head while he tries to sort through his issues with his mother, his sister's disappearance, and not to mention his love life. ***Winners, please email your shipping info to me at readbree (at) gmail (dot) com and I will send you your prize. Prizes must be claimed within 30 days of this post or they will be forfeit. Intorducing THE ETERNITY KEY: Book #2 of the Into The Dark series. Plus a super HOT suprise and a giveaway! 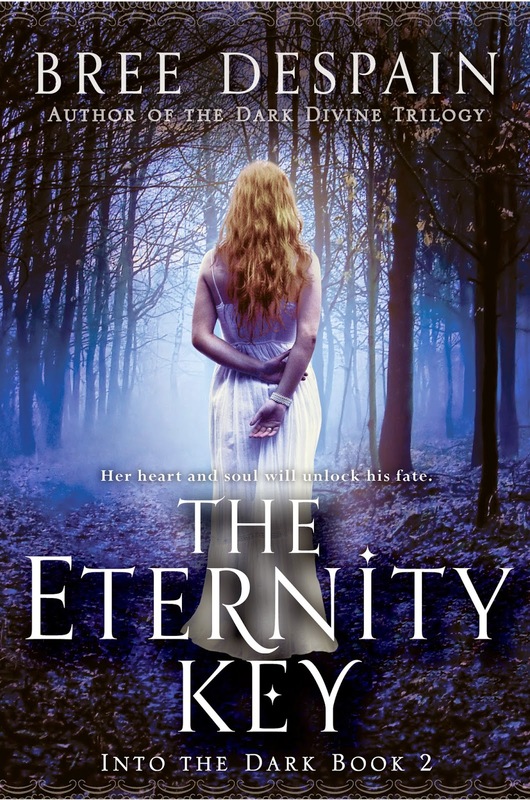 THE ETERNITY KEY will be hitting shelves some time in Spring 2015, but if you're looking for a review copy, I hear that it is already available on Netgalley. Not only does TSP have a schmexy new cover, it also has a new official synopsis. 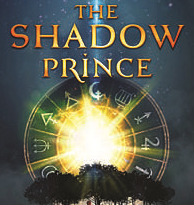 Btw, the paperback edition of THE SHADOW PRINCE will be available in April 2015--and you can already pre-order it HERE. 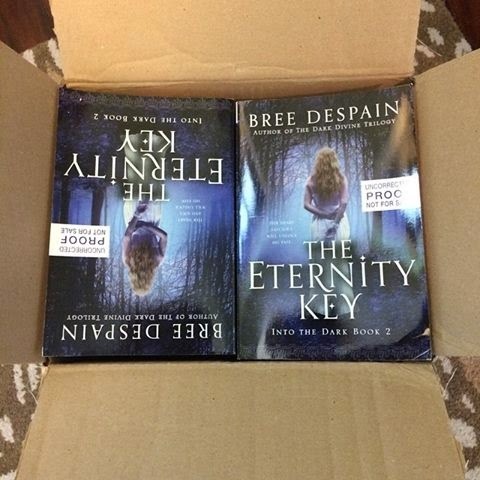 To celebrate the new covers, I am going to give away the very first signed ARC of THE ETERNITY KEY to one lucky winner. (Please note: I don't have ARCs yet, but when they arrive, the very first one out of the box and signed will go to the winner.) All you have to do to enter is share one or both of the new Into The Dark covers with you friends. Use the Rafflecopter below to enter. 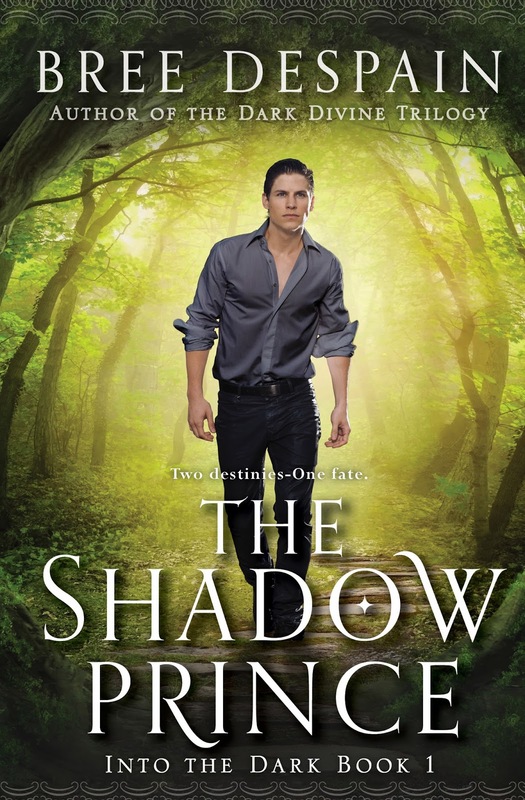 Q: Why did the cover for THE SHADOW PRINCE change? A: Because if certain powers that be want a different cover for your book, and you have a smart publisher, you get a new cover. Q: Is this the third cover design for TSP? A: Yes, yes it is. I guess some books are trickier to cover than others. Maybe that's because TSP is so many things rolled into one story: fantasy, contemporary, adventure, mystery, romance, etc. Q: Does this mean my hardcovers for the series won't match now? A: Unfortunately, yes. I know, I know, that always bugs me too. But you gotta admit that new cover for TSP is pretty HOT. Q: These covers are kinda romancey, will boys like this series too? Q: Did you design the covers? A: No! People far more artistically talented than I designed the covers for my publisher. I just write the books. Q: Did you get to pick the cover models? A: I didn't pick the model for Daphne on the TEK cover, but I did get some say in the model for Haden on TSP. He was one of a few that I picked out as possible hunks to get the privilegeq of being my Underrealm prince. 4/19 7:00 pm: Werewolves, Mr. Hyde and the Incredible Hulk: Our Love/Hate Relationship with RAGE! I'm on a blog tour! Check out the schedule below to see where I'll be for the next two weeks. 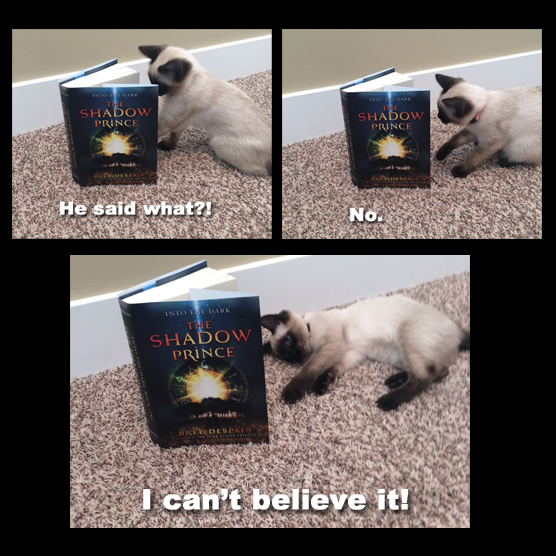 Every post has a giveaway so there are tons of chances to win a signed copy of THE SHADOW PRINCE. Launch Party Pics and Contest Winners! 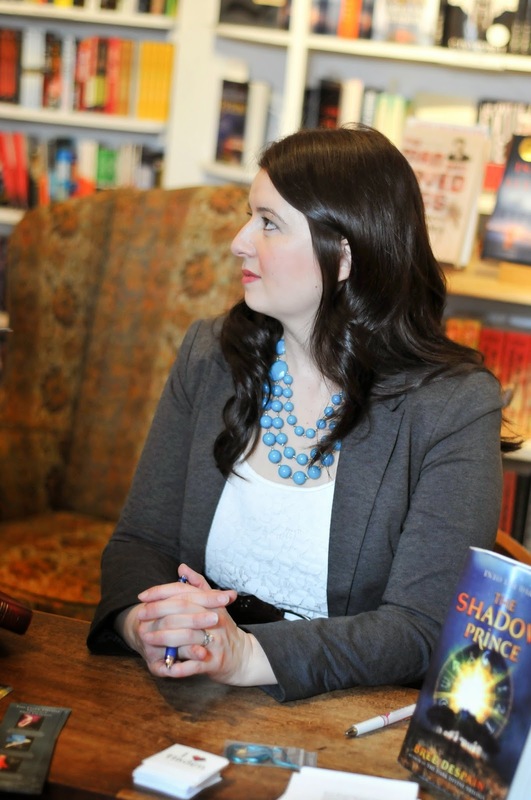 Saturday was the official launch party for THE SHADOW PRINCE! It was such a wonderful day. It all started with lunch with author friends Jenn Johanson, Natalie Whipple, Sara Raasch (and husband), Courtney Alameda, and Michelle Argyle at one of my favorite restaurants. 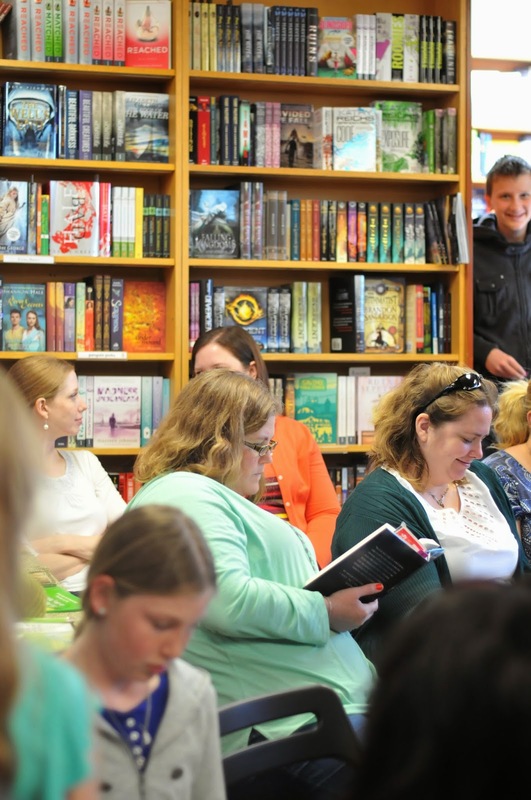 Then we went over to The King's English Bookshop where I gave a book talk (that was hopefully not a ramble-fest) and signed books for all of the lovely, wonderful people who came out to celebrate with me. After that, I headed out to dinner and dessert with my awesome family. And then I went home and crashed so hard I couldn't even make it up to my bed! Below are some of my favorite pictures from the event--all courtesy of my BFF and great photographer, Michelle Sallay. Gotta love a full house! 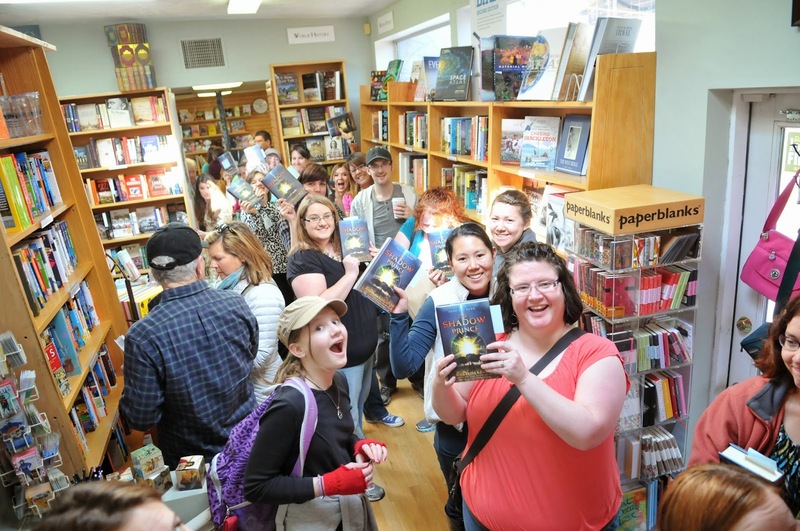 Readers, waiting in line to get their books signed! Look at that pretty book! My awesome sister, photo-bombing . . . something. Now for the contest winners! Winners: Please email me at readbree(at)gmail(dot)com to claim your prize! Prizes must be claimed within 30 days or else they will be forfeit. You guys, it's here! It's finally here! The book I started seven years ago, rewrote the beginning of twenty-eight times, and love like nobody's business is finally out in the world! 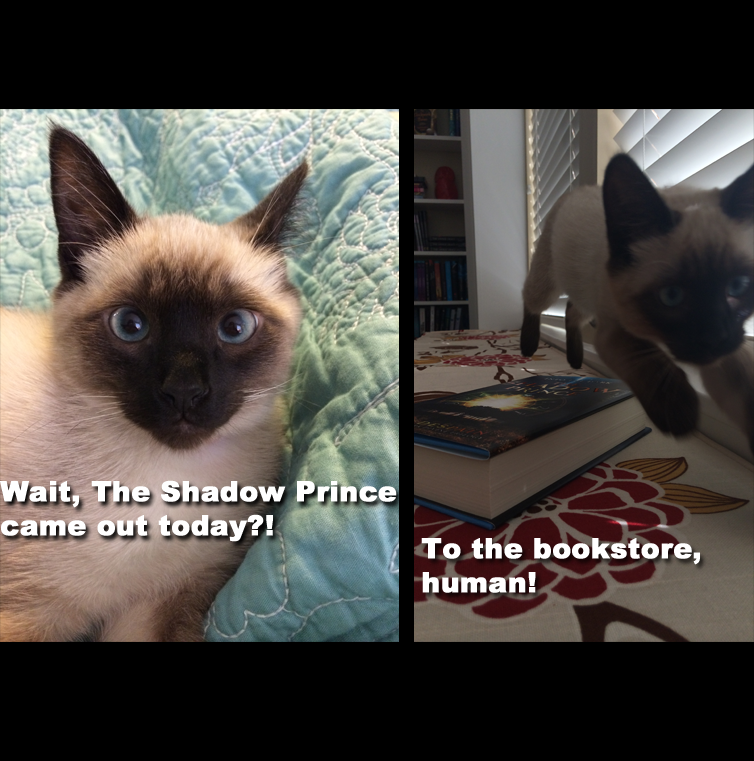 It's THE SHADOW PRINCE release day!!! Which means that you can get your hands on the book . . .
and find out what's inside the pages! 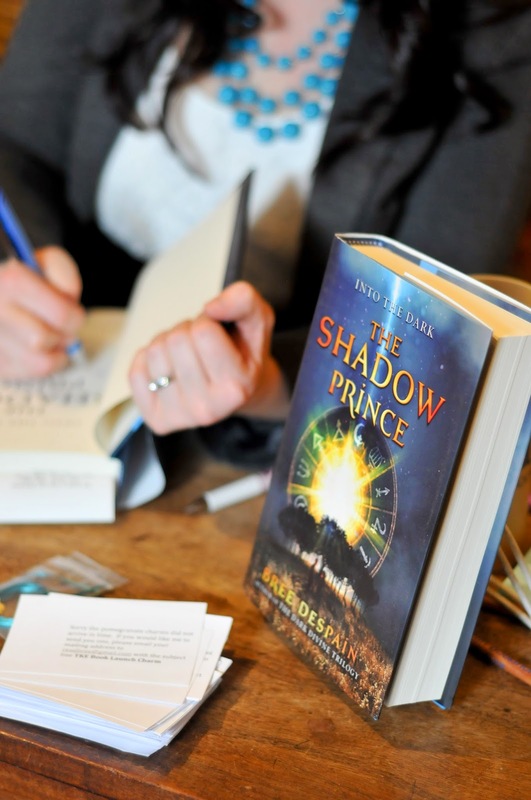 Don't forget, if you buy THE SHADOW PRINCE by March 15th and send your receipt to readbree(at)gmail(dot)com, I will send you a special swag pack in return, AND you'll get ten entries in my iPad Mini + a character named after you in my next book giveaway! But remember, you don't *have* to purchase the book to enter--there are many ways to earn entries! CLICK HERE for full contest details. But that's not the only giveaway going on this week! To celebrate the release of THE SHADOW PRINCE--a book that celebrates my love for music, mythology, and really hot princes--I'm giving away a $25 iTunes giftcard! 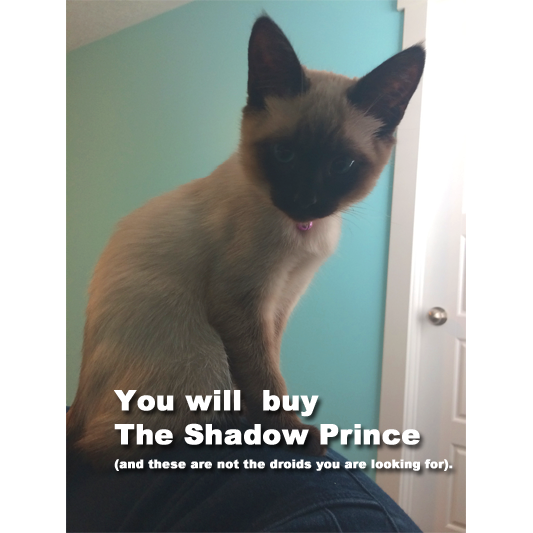 All you have to do to enter is change your Twitter, Facebook, or Instagram profile pic to the SHADOW PRINCE cover until March 18, 2014 to help spread good will for the book! (A pic is provided for you at the bottom of the post.) Use the Rafflecopter below for all your options for entering. So, to try to help her out I'm posting this week's Teaser Tuesday. Which means I get to pick the teaser. But first, let me tell you a quick story. About a year and a half ago, my relatively new (to me anyway) car decided it didn't want to be a car any more. 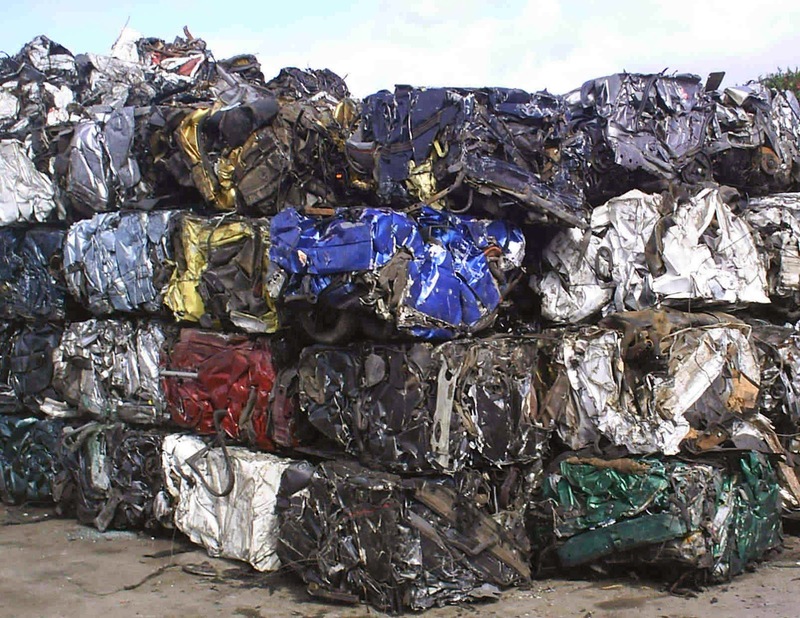 It decided it'd rather be a cube of metal in a pile of other cubes of metal. Yes, its a Leaf. 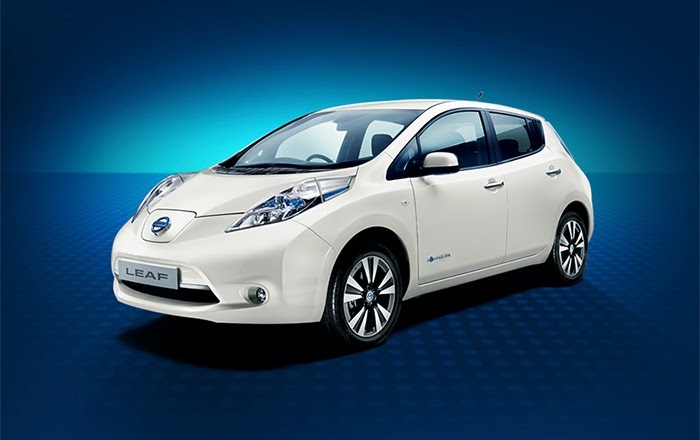 Yes, its electric. No, I don't have range anxiety... much. I was very excited to get a Leaf. Sure, maybe its not the sexiest thing out there, but its still pretty darn cool. Not to mention that my car payment is only slightly more than what my monthly gas budget was--basically making it the cheapest car I've ever owned. And though it has caused us to adjust our lives a little, I've loved having it ever since. But I digress. There is a point to telling you this. So lets get to it. Salesman: "We're almost done. Do you guys have any questions?" Bree: "Yes. 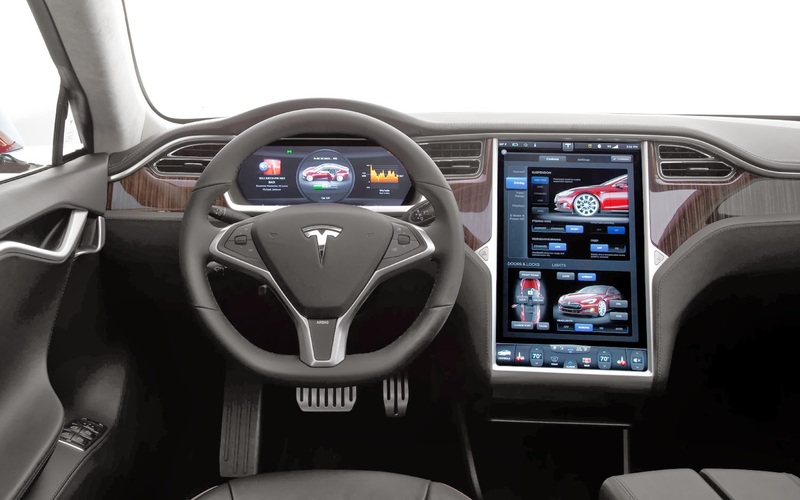 So, if you--hypothetically--could say, I don''t know... shoot lighting out of your hands... could you use that to instantly charge an electric car?" Brick: *totally straight faced and earnest* "Of course." Salesman: "Um... yeah, I'm sure you could." 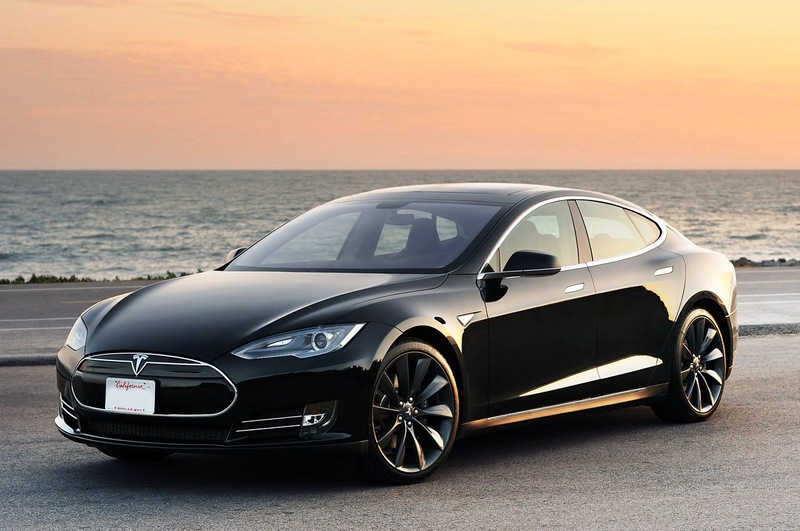 So based off this very scientific research, and knowing that Haden both has said power and needs a much sexier car than me, he was given one of the coolest cars on the planet in THE SHADOW PRINCE. Holy crap that's a thing a beauty. Ooh, and take a look inside too. 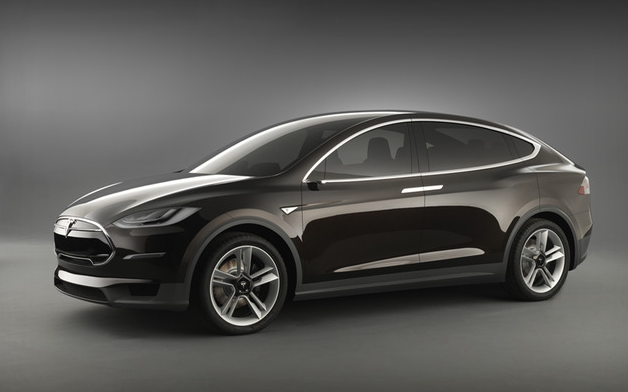 Tesla Model X. Yes, he got both. Really, really not fair. 1 – Pre-Order THE SHADOW PRINCE through The Kings English or another bookseller of your choice like IndieBound, Amazon, Barnes and Noble, Books A Million. . . you get the idea. 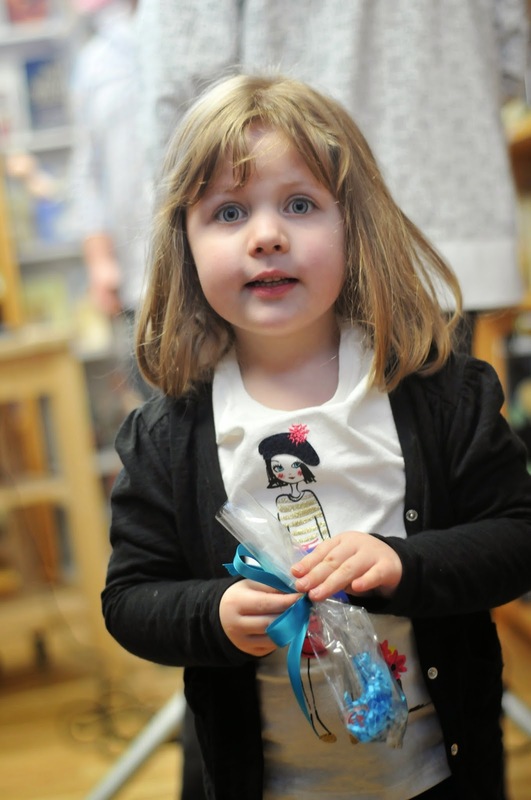 Don't forget to send the receipt to readbree (at) gmail.com to get a special swag-pack sent to you from Bree. And if you pre-order from The King's English your swag-pack will also include an exclusive pomegranate charm necklace as a special gift from Bree. 2 – Blog about this giveaway, or re-blog this post. 4 – Leave a comment on the Hypable post hosting the first 2 chapters of THE SHADOW PRINCE and let Bree know what you think. 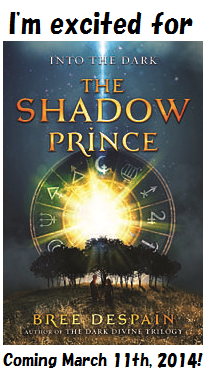 5 NEW* – Change your avatar on your social medium of choice to THE SHADOW PRINCE book cover until March 15, 2014 (avatar shaped image available below and full book cover image available on breedespain.com) . 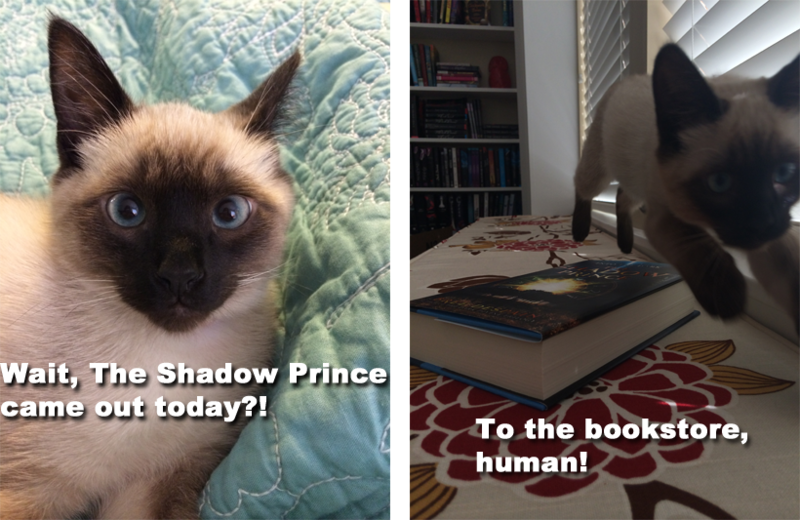 The Shadow Prince Teaser Tuesday #10: Read the first chapter and enter to win an iPad mini! I am very excited for this week’s Teaser Tuesday. Hypable is hosting the release of the first 2 chapters of THE SHADOW PRINCE! The post is live now so go check it out by clicking the link above or clicking here. For the next four weeks I am giving away some awesome swag for anyone who pre-orders THE SHADOW PRINCE. Because I am so excited about this first chapter preview and all the great swag, I am also giving away an iPad mini! 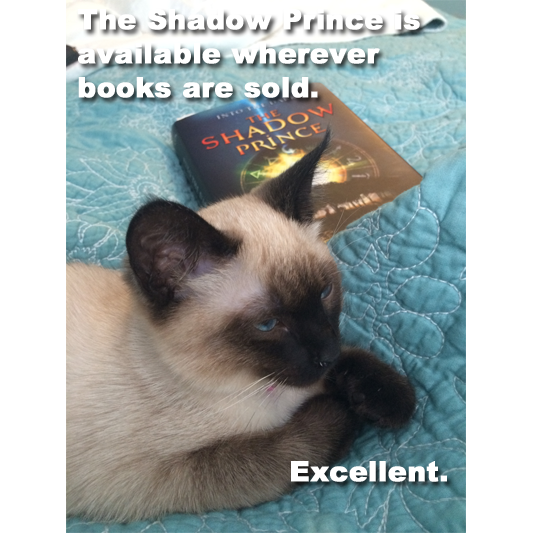 1 – Pre-Order THE SHADOW PRINCE through The Kings English or another bookseller of your choice like IndieBound, Amazon, Barnes and Noble, Books A Million. . . you get the idea (and don't forget to send the receipt to readbree (at) gmail.com to get your swag too). 4 – Leave a comment on the Hypable post and let me know what you think of the first chapter. The more options you do, the more entries you’ll get! So, you know, doing all four is probably a good idea. Oh, and don't worry. If you have already pre-ordered the book, you can still get credit for this giveaway and your swag by sending your receipt to the email referenced above. Unfortunately, I have to keep this giveaway to the US and CA only. Giveaway is open from now until 12am on March 16th, 2014. Any pre-order or purchase before that time is qualified both as an entry and for the swag while supplies last. Winner will be announced here on March 18th. Winner must claim prize within 30 days or it will be forfeit. No purchase necessary. 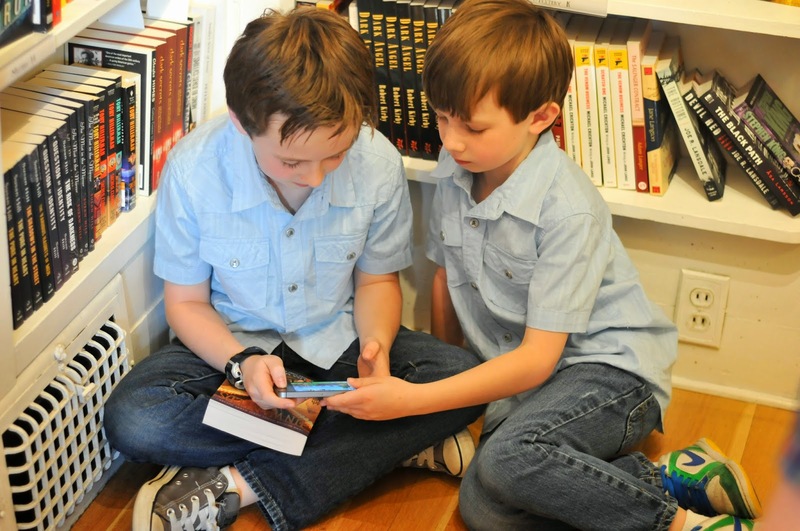 Can't buy the book? Reserve it at your local library and do any of the other options to get your entries. Use the rafflecopter form below to get started. 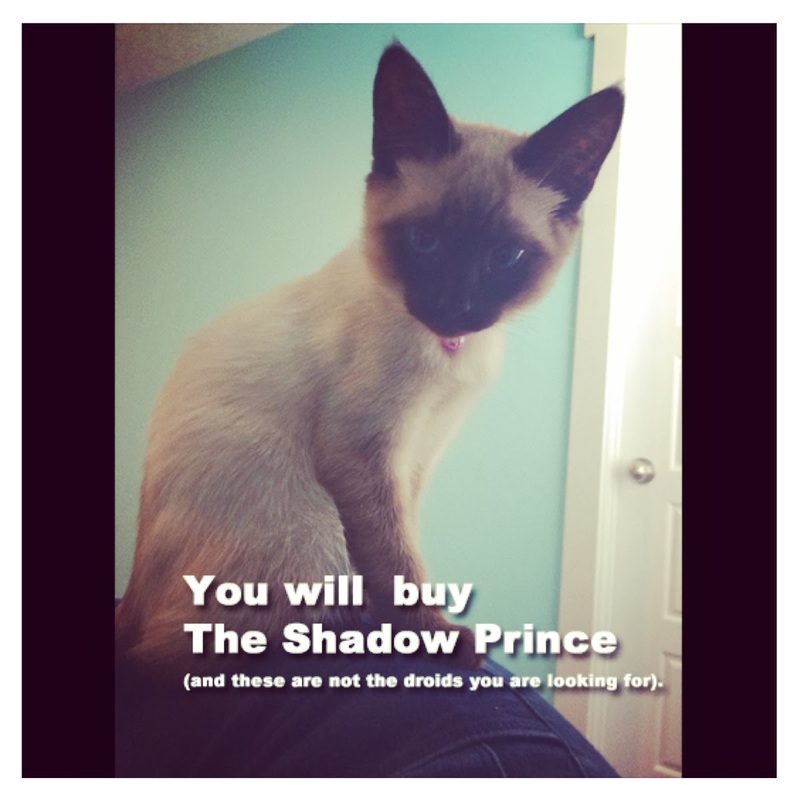 Don't forget to head over to Hypable to read the first 2 chapters of THE SHADOW PRINCE. I hope you enjoy it! You know what's infinitely better than a Monday? A Tuesday. Especially if it's a THE SHADOW PRINCE Teaser Tuesday! Today we get to meet another one of my favorite characters from THE SHADOW PRINCE: Daphne's father--the Joe Vince. Daphne has barely met her famous father (he's a pretty big deal in the music biz...) four times in her life, so you can imagine her surprise and apprehension when he shows up out of the blue with a court order for full custody of her and the offer to attend a prestigious music program at a ritzy private school in California. I've always had a very clear idea of what Joe would be like, and more specifically, what he would look like. I didn't even have to think about it. It was obvious as soon as I knew who the character was. 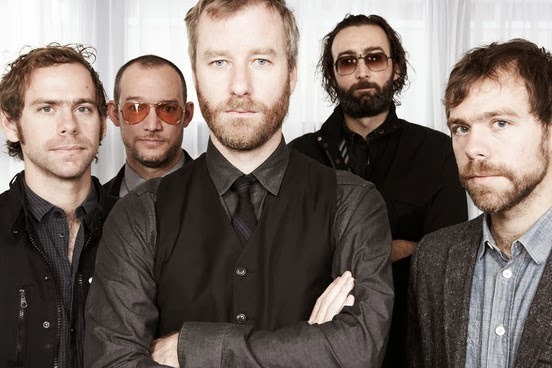 Imagine, if you will, a cross between David Tennant (specifically his character in Fright Night) and the lead singer from The National, Matt Berninger. Picture a British, mid 40's, leather pants wearing, binge drinking, but extremely talented rocker with the soul of quirky dork. To help you picture him, here's a quick teaser of how Daphne describes him their first morning together in her new home. "Joe finds his glasses: thick-framed, nerdy, hipster specs that clash with his leather pants, skull rings, and long, rocker hair. Three things I know for sure about Joe so far. The longer portions of his hair are extensions, he never wears his glasses in public, and even though he tries to pull off an ubercool, leather-clad, Top Forty rocker persona for the press, when I listen real closely, I can hear that he has more of this geeky, Indie singer-songwriter vibe. It's always baffled me, the few times we've met." Just picture David Tennant in Fright Night. . . This week, in honor of re-tellings and re-imaginings of fairy tales and mythology, I'm giving away signed copies of CINDER, SCARLETT, and CRESS by Marissa Meyer! Marissa does a truly awesome job of bringing new life to old stories, something I hope to have done as well with THE SHADOW PRINCE. Oh, and since I finally have an official Author page on Facebook, you can get extra entries this week by going and liking the page! Click here if you want to go straight there. Otherwise, use the rafflecopter below to enter this week's giveaway. The winner of last week's Teaser Tuesday is Jessica Klase. It's Tuesday and that means it's time for a new teaser from THE SHADOW PRINCE! Today's teaser is about one of the most lovable characters in TSP--and one who isn't even a person. 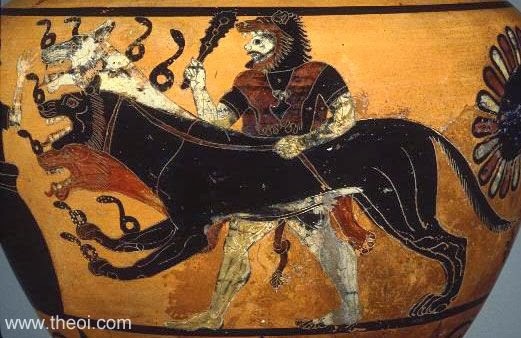 According to Greek mythology, Hades, the god of the Underworld, kept a giant, monstrous, three-headed dog named Cerberus as a pet. So I decided that my character Haden Lord (who was inspired by Hades) should also have a pet. And naturally his pet would be . 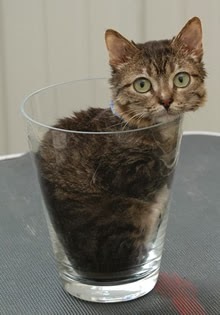 . .
Brimstone, Haden's cat (or hellcat, to be more precise) is based on this picture of Mr. Peebles (the Guinness Book of World Records' holder for smallest living cat in the world) but she looks more like my blue kitty, Ava, when she was just a wee girl. Brimstone is described as being "barely bigger than a guinea pig . . ."
But don't let her size fool you! 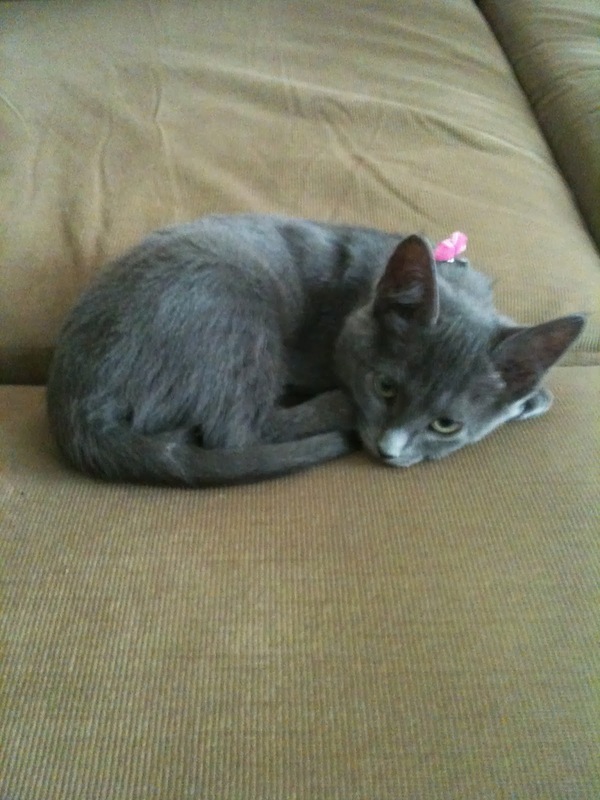 Brim is a full-grown cat, and she hates being called a kitten. That's something you should keep in mind since Haden warns that you should never get a hellcat angry! So why give Haden, a prince of the Underworld and a trained warrior, a pocket-sized feline for a pet? First off, because it's unexpected. Secondly, if you follow me on Instagram, you've probably noticed that I like kittens. And thirdly, because I think it's important to find a way to show what makes a character--especially a character who might seem less-than-human or not all that emotionally available at first--lovable or redeemable. There are several ways of doing this, and in screen writing, showing this redeeming quality (or moment of compassion) is called "Save the Cat." 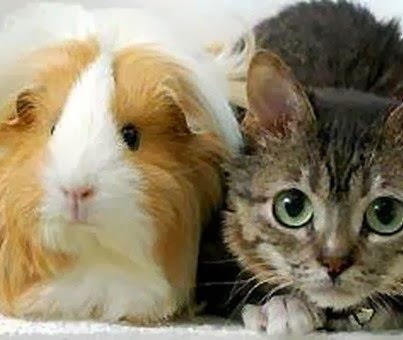 Two of my favorite ways of creating a likable character is by showing something or someone that my character loves, or by showing who loves my character despite their flaws--even if that someone is a pet. "She's a tiny little thing, but a good deal bigger than the puff of fur she'd been when I rescued her from one of the owls' clutches when she was only a few days old. As a runty newborn, she'd been tossed out of the nest by her mother, left to die in the Wastelands. That's why I'd saved her--and that's why she rarely left my side and could always find me no matter where I was--we'd both been rejected by the only family we'd ever really known. That made us kin." So Haden "saves the cat" by literally saving a (hell)cat. But Brimstone isn't just a plot device, she's an important character in the book. I think of her as the older sister that Haden always needed. She scolds him when he's being thoughtless, prods him to do the right thing, and even tries to help him out with the ladies on occasion. Brimstone is fiercely loyal and deeply bonded to Haden, and he to her--a connection that plays out in important, and hopefully unexpected, ways in the book. For more Brim and Haden, be sure to check out THE SHADOW PRINCE on March 11th! Brimstone loves music so I am giving away one of my silver lyre necklaces. Brim also comes from a long line of ancient mythological creatures, so I am also giving away a signed copy of RELIC by Renee Collins, an exciting book about people who harness special powers from the bones of ancient magical creatures. Enter to win using the Rafflecopter at the bottom of this post. Last week's Teaser Tuesday winner is: Madeline Hale! Happy, happy, Tuesday! I hope you're having a good one. Did you know we are only 6 weeks away from THE SHADOW PRINCE debut on March 11th?!!! So a couple of big boxes arrived on my doorstep yesterday. Everyone was very excited to see what was inside . . .
As it turned out, the precious cargo was my author copies of THE SHADOW PRINCE!!!! I duly freaked out and squeeeeed and took a million pictures. Even Mei Mei wanted to get in on the action. Or more likely eat the box they came in. Here's the back of the book with a pull-quote to entice readers. (And it's one of the quotes that I shared as a teaser a few weeks ago.) Love the way this looks! Here's the spine of the actual book. I have to admit, I am swooning over that gold lettering. How gorgeous is that?! Here's a picture of the first page of chapter two. Actually, all the other symbols on the cover are astrological symbols for different Greek gods. I bet you can guess a few. Here's a picture of the very last word in the book. Any guesses as to what it is? So how big is the book? About the size of a kitten. I've already promised three of these hardcopies out to previous Teaser Tuesday contest winners, but I thought I would give away the copy that I used as my model today. *** (As in, the very first hardcopy that I've signed.) Enter to win using the Rafflecopter at the bottom of this post. Oh and I can't forget. 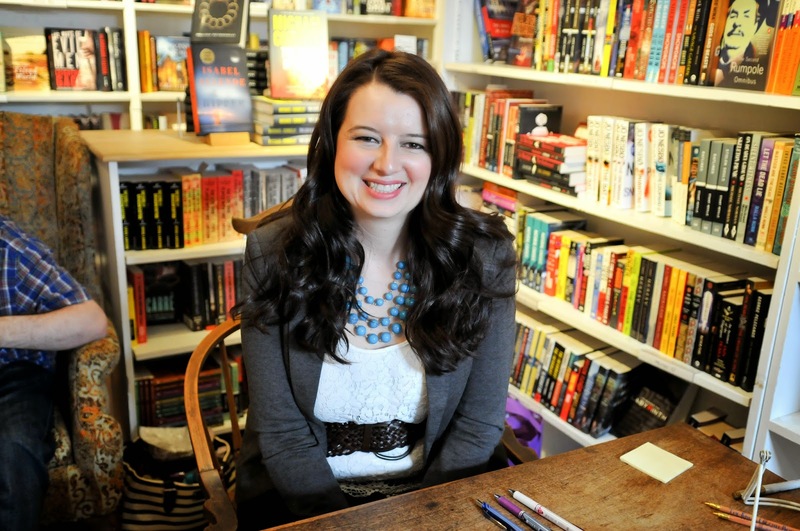 Last week's winner of ROOMIES is: Jamie G.
Young Adult author of the INTO THE DARK trilogy and the DARK DIVINE trilogy. 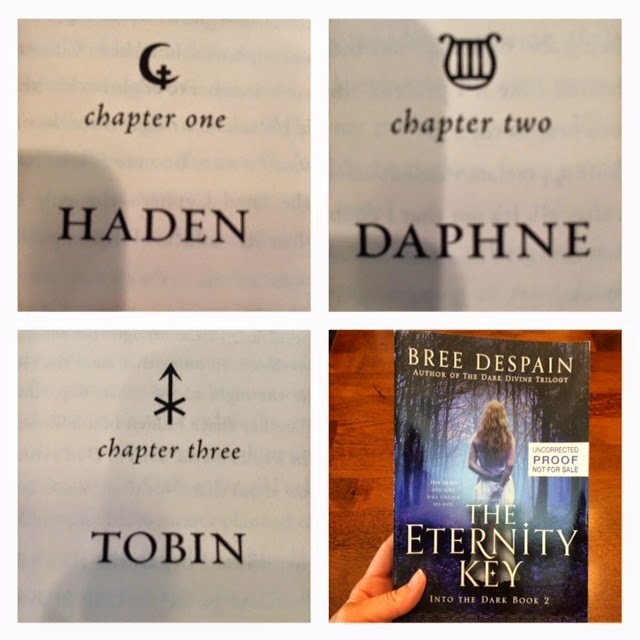 Book 2 of INTO THE DARK: THE ETERNITY KEY is scheduled to be released March 12th, 2015. My other books (THE DARK DIVINE, THE LOST SAINT, THE SAVAGE GRACE, and THE SHADOW PRINCE) are available now wherever books are sold. Also a contributor to the anthologies A VISITOR'S GUIDE TO MYSTIC FALLS and THE GIRL WHO WAS ON FIRE. 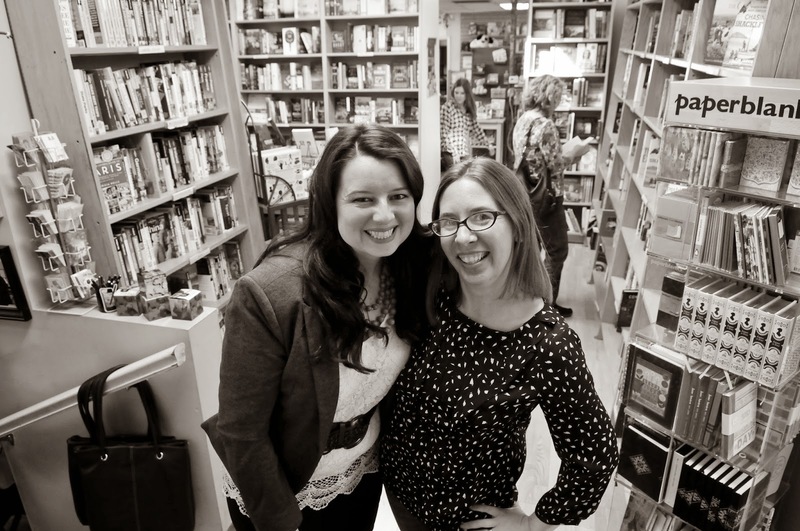 These are my publishing adventures . . .